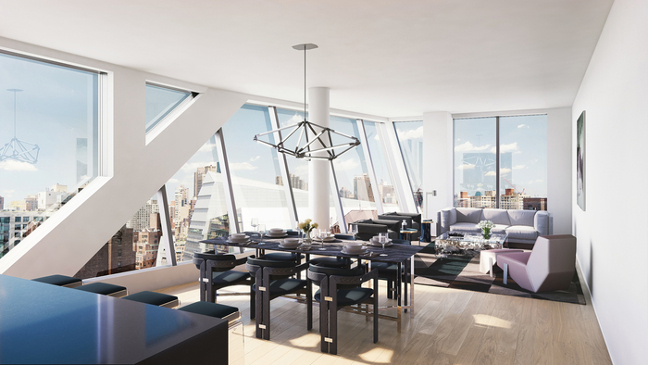 121 East 22nd Street is OMA’s first residential complex in Manhattan. The site straddles two separate and distinct neighborhoods: Gramercy Park, a calm oasis formed around a private park and Madison Square, a bustling public space hosting an array activities and commercial programming. 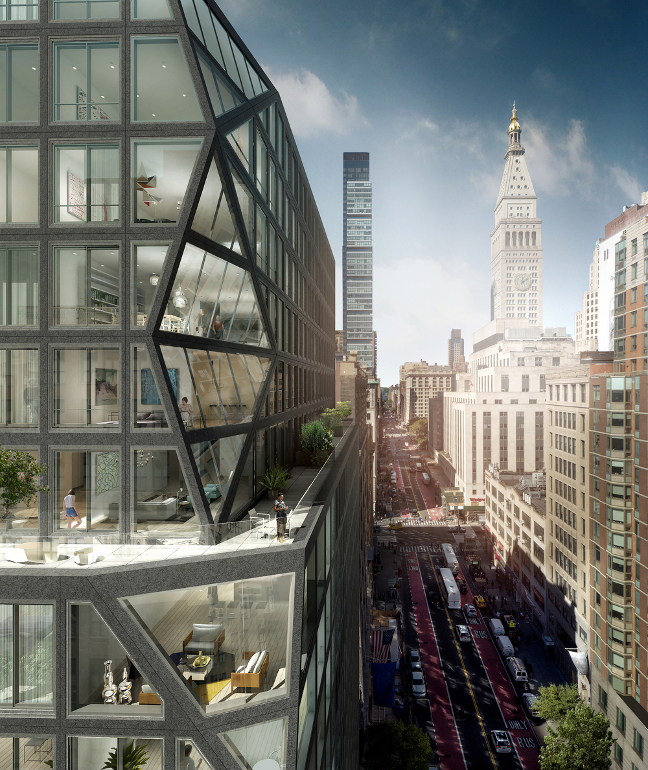 Partner-in-Charge, Shohei Shigematsu commented, “The design responds to the duality of the site’s urban context, where Gramercy Park meets Madison Square and a residential block meets a bustling avenue. 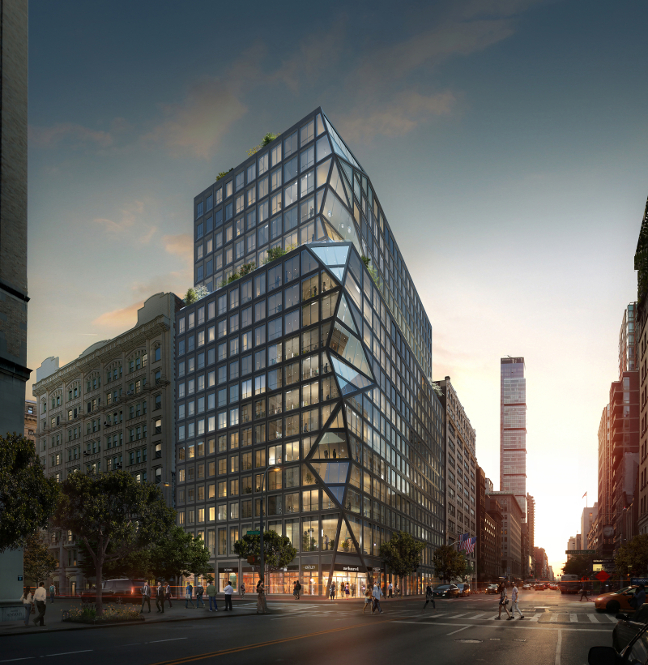 The dynamic intersection of these multiple identities is expressed by a three dimensional, prismatic corner on Lexington and East 22nd Street. Tucked away from busy streets, an internal courtyard links the complex’s two towers and provides a valley-like oasis. 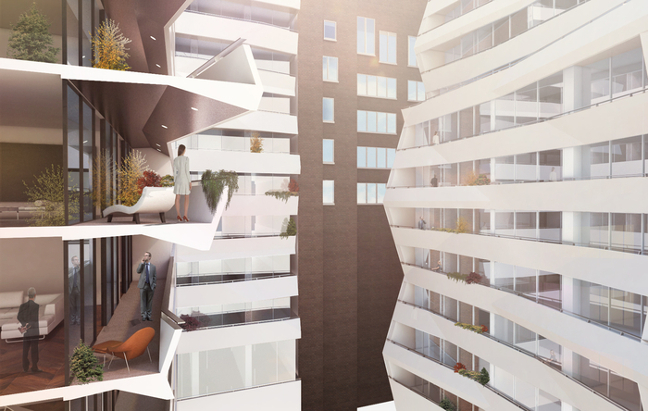 Intimate balconies and terraces overlooking the courtyard provides additional amenities for the complex. 121 East 22nd will offer 133 units total and is scheduled to be completed in Fall 2018.